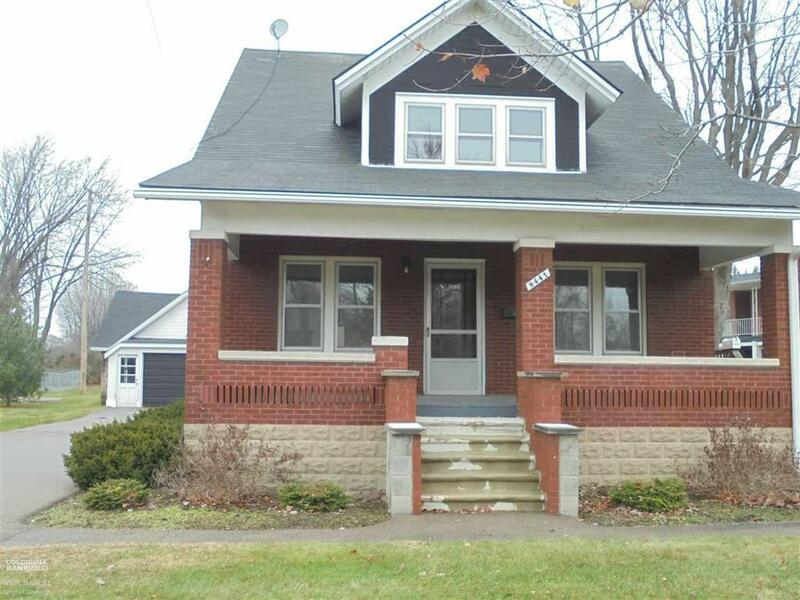 Stately Full Brick Bungalow with large covered front porch for relaxing after your long day. Another covered porch at the rear entry. Recently updated kitchen, fresh paint, new carpet, bathroom fixtures and flooring. Original custom woodworking accents the living area with built in bookcases to reflect the era. Double wide asphalt drive leads to the two car detached garage situated in the large park-like yard. Garage provides ample storage for all the tools and toys. Property is located on the extreme s/e corner of Utica, just minutes from everywhere, yet peaceful. Currently used as a two unit, but easily transformed back to a four+ bedroom house. Need to see to appreciate the workmanship.